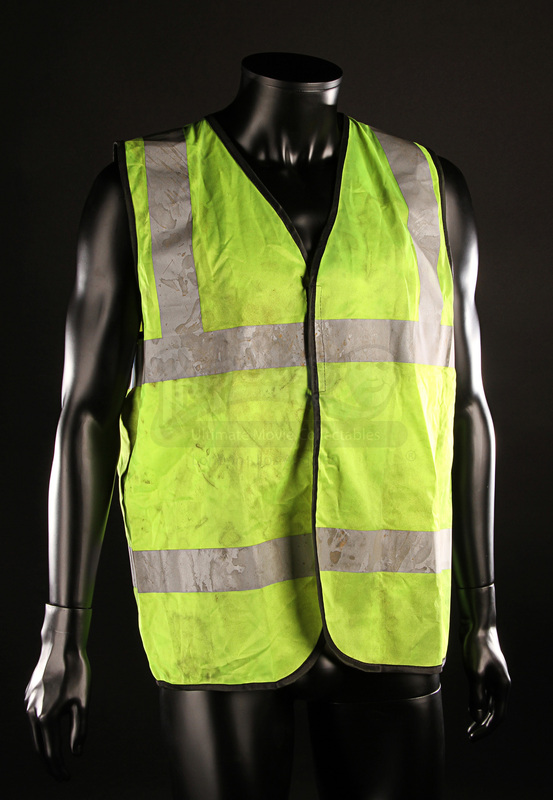 A King Industries hi-vis vest from the James Bond film The World is Not Enough. 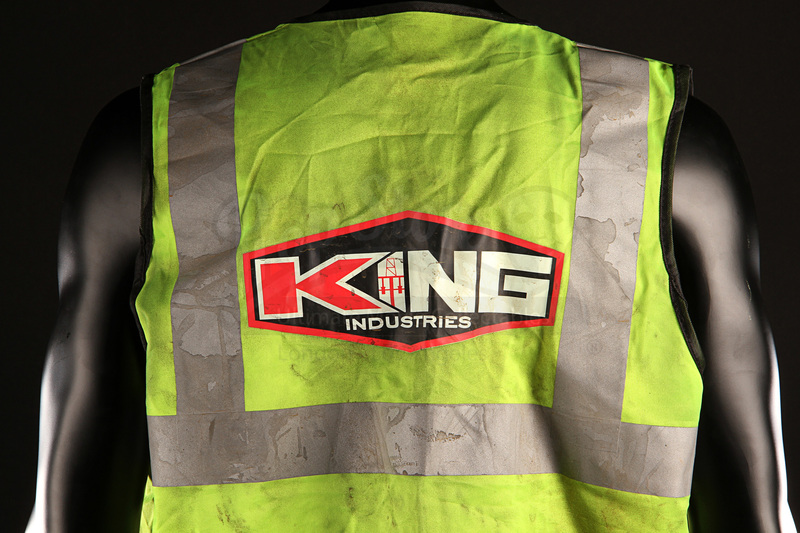 Starring Pierce Brosnan as James Bond, this entry in the successful espionage franchise has the spy protecting a murdered oil tycoon's daughter, Elektra King (Sophie Marceau), and her pipeline run by King Industries. 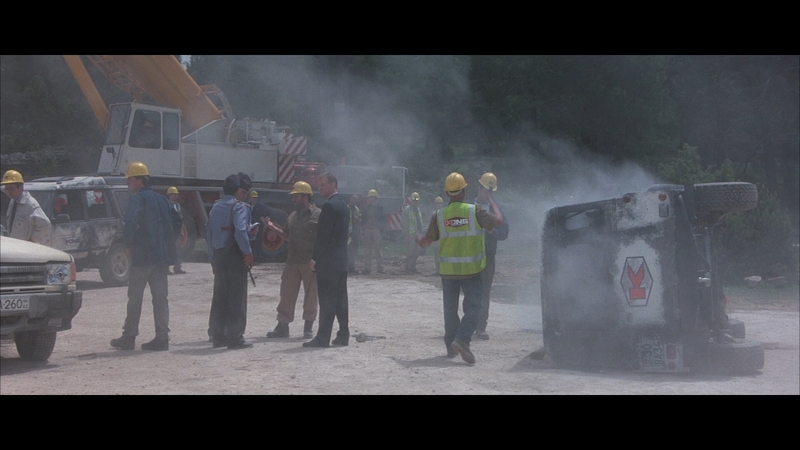 This time around, Bond must face a terrorist mastermind, Renard (Robert Carlyle), a man who feels no pain due to a bullet lodged in his head. This high visibility vest and others like it can be seen being worn by workmen in the film when Bond visits the King Industries pipeline construction site. 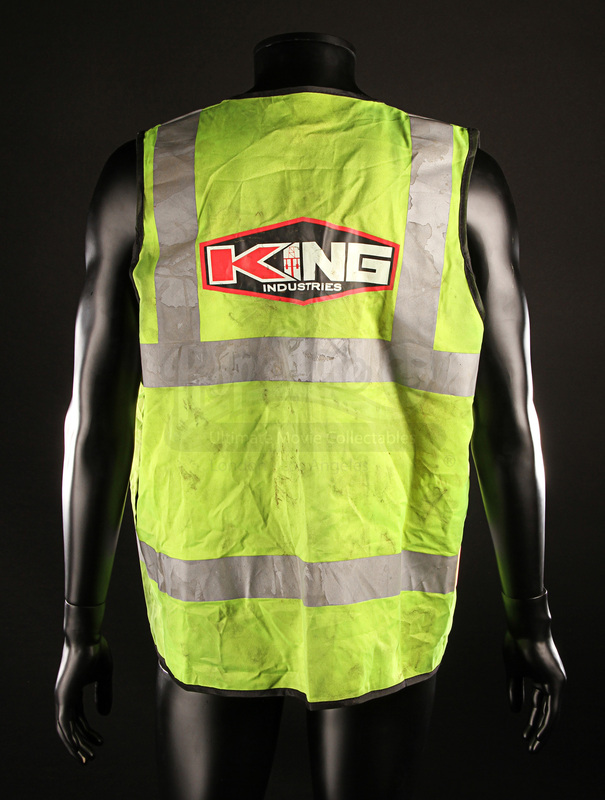 Made of a highly visible luminescent yellow material with reflective silver strips, the vest features a screen-printed King Industries logo on the back. 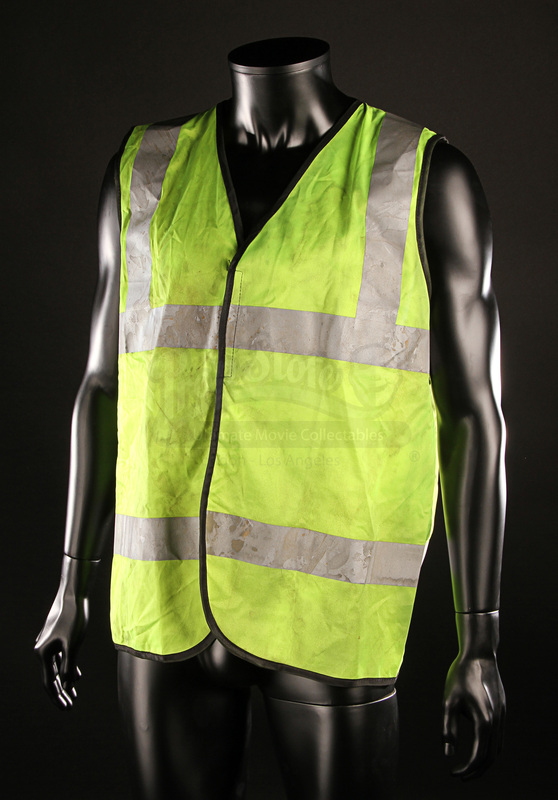 Well used on set and distressed for the production, the vest shows some wear from production use but remains in an otherwise very good condition, and is sized “large”.